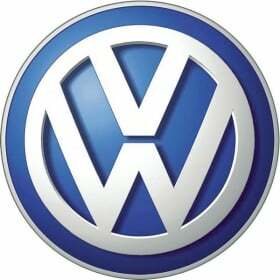 VW's target is to sell 1 million vehicles a year in Brazil by 2014. MUNICH -- Volkswagen AG plans to invest up to 2.3 billion euros ($3.5 billion) in Brazil from 2009 through 2014 to add products and boost manufacturing capacity. “We will enjoy significant growth in Brazil this year and win market share. Our target is to sell 1 million vehicles per year in Brazil by 2014, thus making an important contribution to the success of the group's Strategy 2018,” Thomas Schmall, CEO VW Brazilian operations, said in a statement. The investment plans come as VW sees auto sales in Brazil reaching as high as 4 million units a year in 2014, a 33 percent increase from the current 3 million a year. "We're working to take the lead in the Brazilian market, but the focus is on growing in a sustainable way," Thomas Schmall said during a press conference in Sao Paulo. Emerging markets have helped make up for weak vehicle sales in Europe and the United States, where the worst recession in about eight decades has forced automakers to slash production and seek government aid to survive. Brazil, like China, has been a rare bright spot for global automakers. Car sales in the country are on track to hit a record in 2009, boosted by government tax incentives that helped lower car prices and lure consumers to showrooms. The tax breaks are set to expire at the end of December. The government announced this week plans to also help trim taxes on environmentally friendly cars in a bid to press for a faster renewal of Brazil's auto fleet. country's largest automaker, the company said in the statement. Europe's largest carmaker aims to produce 1 million vehicles in Brazil by 2012, 39 percent more than last year, Alexander Seitz, its vice president of procurement in the country, recently told Brazilian media. Last week, Ford Motor Co. unveiled plans to invest 4 billion reais to boost output in Brazil as record-low borrowing costs and a rapid economic recovery in Latin America's largest country stoke demand for new cars. GM is another automaker that is expected to announce expansion plans before year-end.